Originally released in 2009, the ActionComplete GTD Toolkit is now in its third iteration and is specifically designed around the Android platform to take advantage of its modern and stable interface. 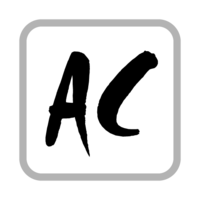 ActionComplete is a streamlined task-management system that assists users in organizing their tasks, assignments, errands, and other to-do lists. The focal point of ActionComplete 3 for Android is its All Tasks view for planning and analysis. Users can easily apply filters to get the best view of tasks with several sort options, task search, and the ability to add tasks. • Important Tasks list shows tasks of the highest priority (those set to “critical”). • Urgent Tasks list displays past due tasks and those due today. • Reminders list shows tasks that include reminder notes. Tasks are browsable through the Tags and Places screens which show only completed tasks and are good for displaying a historical look at a task realm. Users can easily add and complete tasks via app widgets (such as the convenience tasks lists) including Add Task, which enables one-touch access to the New Task screen. ActionComplete is now available with a free install and owners of previous version of the GTD Toolkit can receive credit toward the purchase of ActionComplete for Web one-year access. Overall, ActionComplete GTD Toolkit allows users to manage four types of tasks: Actions (next actions), Waits (waiting for), Projects, and Ideas (someday/maybe). Users can assign due dates to any tasks, which are color-coded to denote late and on-time tasks. Reminders can be setup to provide both audible and visual alerts at specified times. Projects allow the user to create further stricter within a project management framework.